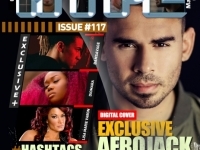 USPA NEWS - Digital Cover Issue #117 boasts a diverse selection of stories ranging from international superstar DJ and Producer Afrojack to Tech Cypher Brand Manager Brandon “BL” Lewis. Of course, we’re celebrating the new up and coming talent as well such as Republic Records’ BamSavage and Latina songbird DioMara who took center stage on National Women’s Day during Women’s History Month. One of the world’s most innovative and sought-after artists, Grammy Award-winning producer, songwriter, DJ Afrojack, continues to shatter boundaries that push music into bold new directions. Since making his breakthrough with the multi-platinum-selling single ‘Take Over Control’, the Dutch-born genre-bending musician has lent his production skills to tracks including David Guetta’s number one smash ‘Titanium (feat. Sia)’ and co-created major hits for such artists as Beyoncé, Pitbull, and will.i.am. Most recently, Afrojack released the cross-genre bending hit “Sober” with Rae Sremmurd and Stanaj and is gearing up to release an album this year. 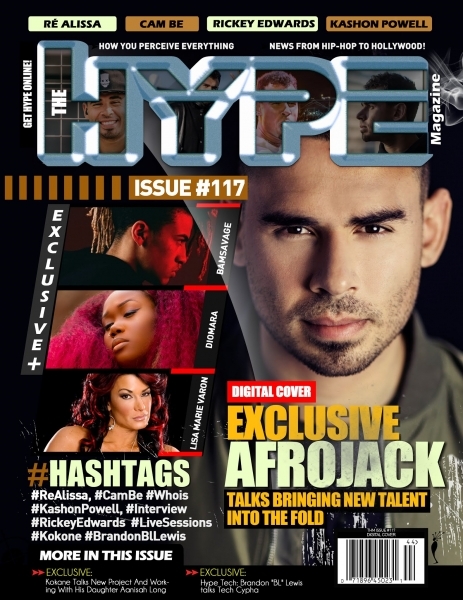 In the last three years, Afrojack was named one of the 50 Most Important People in Electronic Dance Music by Rolling Stone and placed on the Forbes ‘30 Under 30’ list, also receiving a stamp in his likeness in the Netherlands and becoming the second DJ ever to imprint his hands into the Hollywood Walk of Fame. He continues to appear in Las Vegas every month as a resident DJ for the Wynn Hotel Group at their three luxury venues XS, Encore Beach Club and Intrigue. Outside of Vegas, he performs worldwide at all major festivals and premier nightlife venues.